Whalen's Moving & Storage can help you protect your precious goods by handling the packing of all your non-furniture items and even custom-build crates. 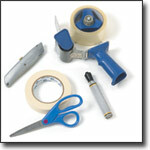 Whalen's utilizes expert packing techniques to safely pack even those extremely fragile or odd-shaped items. If you want to handle your own packing yet lack supplies, Whalen's carries any packing supply you may need: boxes, paper, bubblewrap, tape, etc. To assist you with your packing needs, please take a moment to consider the information on the "Guide To Better Packing". 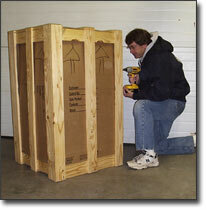 You may request to have extremely fragile items crated, and Whalen's can build custom crates for those "difficult to move" pieces. Utilize Whalen's Moving & Storage and their expert knowledge in packing & crating to help ensure the safe moving of all your household goods.